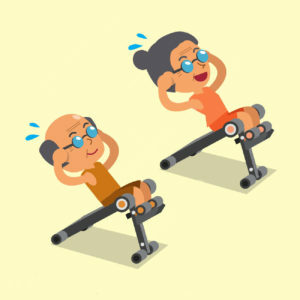 As we age and our bodies slow down, muscles will begin to weaken and atrophy to around 1 – 2 percent a year. To enjoy life to the full we must maintain healthy lifestyle habits which will include moderate levels of activity. Our bodies are amazing and we have to take care of them. Being active and maintaining a suitable exercise schedule that allows you to work within your boundaries is vital for future health and wellbeing. If you don’t use and exercise your muscles wisely, you will lose them (muscle atrophy) so it’s important to keep muscles strong and flexible (freedom of movement) for optimum muscular health. Muscles support our skeletal frame and allow for the movement of the human body. We have 3 types of muscles in our body – skeletal, visceral, and cardiac. Skeletal muscles are voluntary, while the visceral and cardiac muscles are involuntary. Skeletal muscles attach muscles to bone and we have around 700 skeletal muscles that make up roughly half of a person’s body weight. There are 3 types of skeletal muscle connecting the skeletal system and organs with muscle tissue, blood vessels, tendons, and nerves. Exercising your muscles will increase your metabolism thus burning more calories, so exercising muscles is great for maintaining your ideal weight. 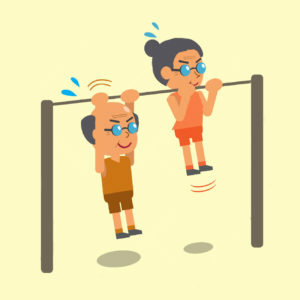 Try to exercise for at least 150 minutes a week including specific exercise to strengthen your muscles. Join us on one of our Revive courses and improve your health and wellbeing.